Originally a lush oasis of exotic plants and trees, the Sarasota Jungle Gardens now hosts over 200 exotic and native animals, ranging from macaws to alligators. As soon as you walk into the Sarasota Jungle Gardens, you will be greeted by a symphony of macaws and other exotic birds perched on the lawn. Since the gardens were originally only to be admired for their beauty, there have been great efforts to preserve the original vision. The Reptile Encounter is widely accepted as one of the more exciting shows. The show features, but is not limited to, bearded dragons, boa constrictors and baby alligators! The show gives viewers a chance to see, touch and learn loads of amazing facts about the reptiles. Krista, a zookeeper and educator that often handles the Reptile Encounter, thinks the Sarasota Jungle Gardens offer a truly unique experience. And Krista believes in the mission at Sarasota Jungle Gardens. 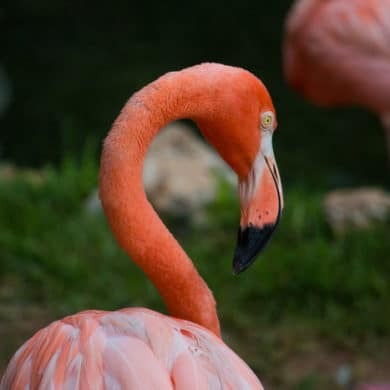 Another must-see exhibit at the Sarasota Jungle Gardens is the flamingo exhibit. These brilliantly pink, long-legged birds are so friendly that they will eat food right out of the palm of your hand! Come get a fresh perspective of Old Florida at the Sarasota Jungle Gardens. The Sarasota Jungle Gardens are located at 3701 Bay Shore Road, Sarasota, FL 34234. For more information, visit the Sarasota Jungle Gardens website or call (941) 355-1112.